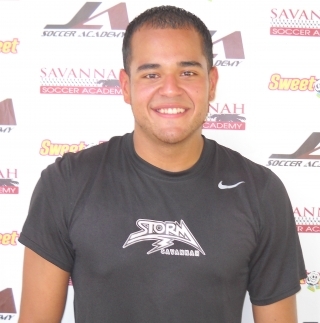 Miguel Lopez is a young coach at Storm Soccer Academy that is extremely passionate about developing players and gaining more coaching knowledge. I asked him to write a post about his coaching story. This story included how he began coaching soccer, his process to developing as a soccer coach, and what he hopes the future holds for him. This story includes a very important piece of the coaching puzzle as it effectively states how Miguel found his passion for working with youth athletes. I found this piece very enlightening and I hope to check back with him as he continues to work towards becoming a master coach. Take it away Coach Miguel. Coaching soccer with Storm Soccer Academy all started on one cold night when Jeremy Aven was having winter training in December, 2010. He came up to me while I was taking shots on goal and dribbling around on the field in his big blue jacket. Some of the first questions he asked me was, “Do you speak Spanish, What kind of grades do you have, and Are you going to college.” After watching a couple training session and hanging out with Jeremy, I was astounded at the level of the kids that I didn’t think twice when I asked him “When do I start?” That was the day I took that opportunity and I knew that sooner or later it wasn’t going to be just a “part-time” job for me but the start of my career. It has been almost 3 years and since that day I have been able to gain experience through taking courses and running sessions day in and day out. My first season with Storm I was an assistant where I would just help out setting up, listen to the coaching points the head coach Jeremy Weeks explained, and began organizing and running portions of training sessions. After that spring season I immediately said I need more knowledge so I went ahead and took the USSF “E” license to better my understanding of youth soccer. In the fall of 2011 I was approached by the Hilton Head High School head coach, Wayne Quinlan, and was asked to be the technical coach of the boys high school team. The second season with Storm I was in charge of the ‘01 girls for the club, helping out at the high school, performing Sweet Feet lessons, and a full time student at University of South Carolina Beaufort. I tried to get in as much soccer as possible while still staying focused on school. After just one year of coaching, I was asked by Jeremy Aven to run my own group at winter training, which was a great opportunity to continue my growth as a coach. That Winter I then took my next coaching license which was the USSF “D”. I learned a lot of information at this course and was able to get the national level pass, which will allow me to one-day take the USSF “C” license. My greatest memory in the spring season was having the ‘01 girls team at U10 winning a tournament in the U11 bracket. This just comes to show you that at Storm, we are doing something different and special. In the summer of 2011, I was given my own program by the club as the Summer Training director. I looked at it as an opportunity to better the kids in our club and better myself as a soccer coach with the experience. I was also given the chance to take two courses that summer which were the NSCAA goalkeeping diploma I & II courses that gave me the ability to train/help goalkeepers in our club. My best memory of the 2012 fall season was going to the Atlanta Cup Tournament with the 01 girls’ team, they were U11. We competed against great teams from Florida, Tennessee, and Atlanta for the first time and we made it all the way to the finals and lost against a great team. 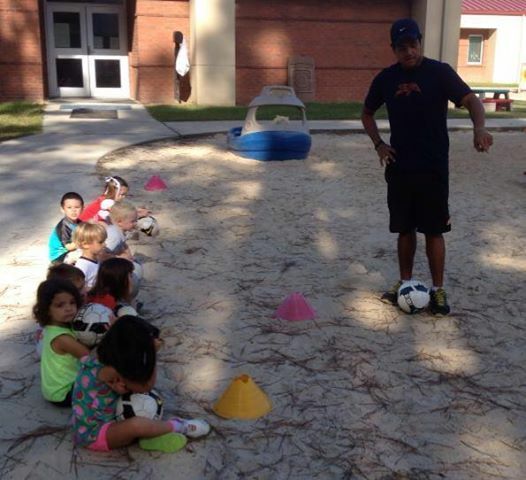 In January of 2013 I took another course that would test my soccer coaching abilities. Six long days out on the field and the classroom were worth it when I was told I passed my NSCAA National Diploma. I will be coaching U12 girls this year; they will be transitioning from 8v8 on a 60×80 field to playing 11v11 on an 80×120 field. To prepare to coach 11 versus 11 I went to Statesboro numerous times to watch Ben Freakley train the Georgia Southern Men’s Soccer team. It was a great experience to watch a high level coach train these young men and to listen to the coaching points he had. You are a wonderful coach and a great asset for Storm. You have always been kind but firm with the kids and push them a little out of their comfort zone to try something new. Lucy misses playing for you. Thanks for being such a positive role model for my girl. @Tori – I enjoyed training the boys. Hope to see them back at it next summer! @Michelle – Ben is a great idol I look up to. The girls are very coachable and respond very well from my coaching. Great post coach Miguel. My girls love training and playing for you. I have told you before, you remind me of a younger Ben Freakly! Love the way you coach from the sidelines. Keep up the great work. I hope that your passion for this most passionate of sports only continues to grow. Great article, Miguel! Ryan and Jack were so lucky to train with you this summer!